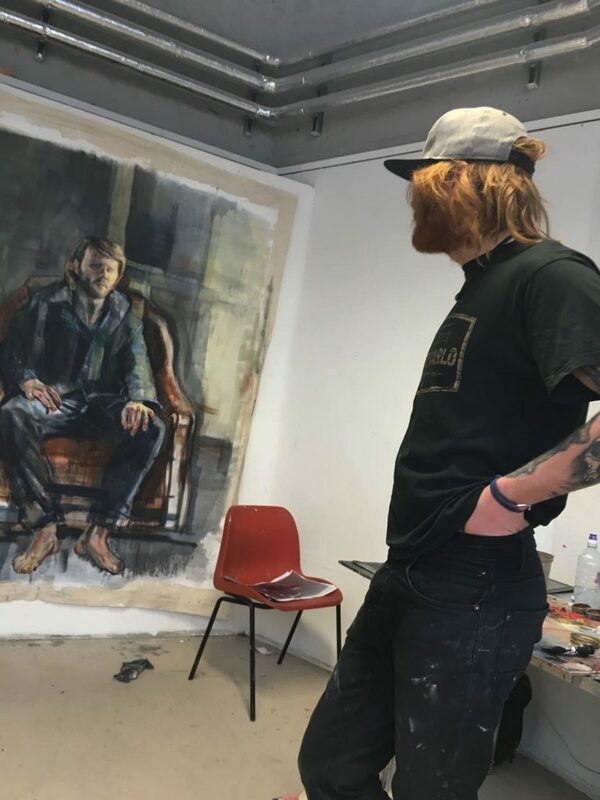 Gavin Donaldson has been in 3 group shows so far this year and held his first solo show in Glasgow – October 2017. 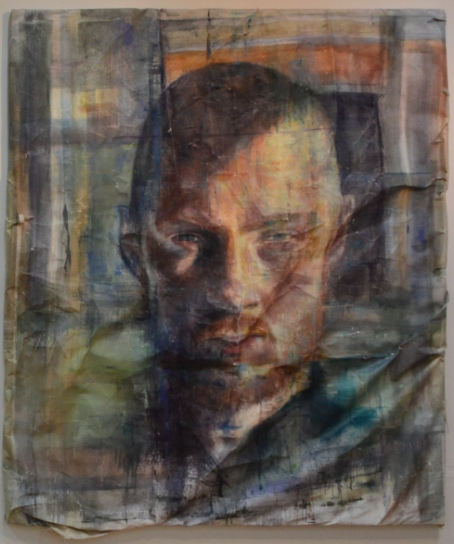 I am delighted to see him beginning to make waves as I was blown away by his degree show a few years ago in Dundee and can see great things for him..
Gavin Donaldson’s creased, crumpled canvases expose dripping, blurred and equivocal portraits. The painterly contours and smears of paint dragging across the picture plane, together with the disrepair of the canvas itself invite the viewer to witness an ongoing performance of themes. There is a duality at work: creation and destruction. This idea resonates with the artist’s intentions of creating paintings which echo the dual nature of a person’s inner self and the self they perform to the outer world.